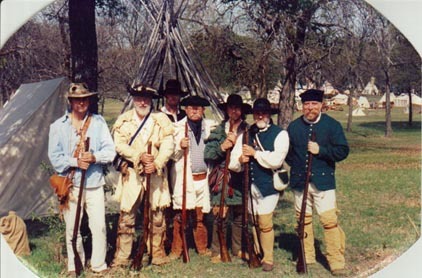 THE CROSSTIMBERS PRIMITIVE SOCIETY IS A CLUB ORGANIZED TO PROMOTE THE CORRECT HISTORICAL DEPICTION OF OUR NATIONAL HISTORY. 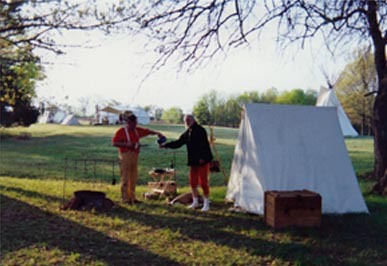 BESIDES HAVING THE SHOOTING ASPECTS, THERE ARE MEMBERS PRESENT WHO ARE ABLE TO ANSWER QUESTIONS IN REGARDS TO PROPER ATTIRE FOR THE TIME PERIOD THAT YOU WISH TO EMULATE. A DIVERSE GROUP OF MEMBERS MAKES THAT POSSIBLE.